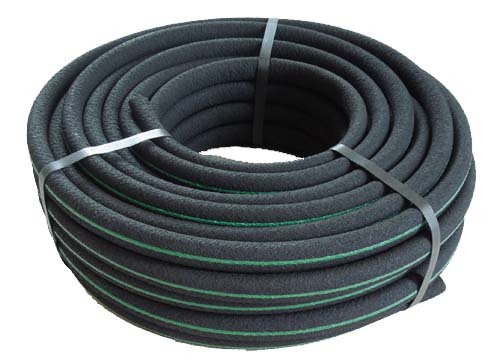 5/8" Bulk Soaker Hose (.820 OD) can be identified by it's "Green Stripe". Bulk Soaker Hose offers the perfect delivery of water to plants. Made from recycled materials, 70% from recycled rubber and 30% recycled polyethylene products that are re-pelletized for use in the process. GPH is approx. 224 gallons per hour, per 100' at 25 psi, depending on inlet pressure & water hardness.